Coaches need to reflect and debrief, but translating the theory into practice can be difficult. 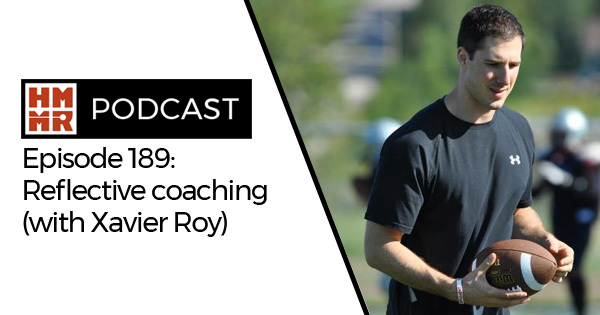 Xavier Roy recently completed his PhD on the topic and as part of his research he worked hands on with a Canadian football team to see how coaches reflected on training, and what steps they took to implement changes. On this episode of the podcast he joins us to discuss his research and also share thoughts on training for football and current trends both north and south of the border.